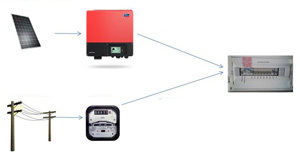 Backup power systems provide you with backup power stored in batteries in the case of a power failure or Load shedding. Backup power is typically provided to: lights, servers, garage door motors, Routers, TVs etc. 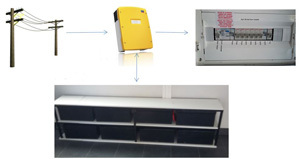 Our backup power solutions integrate into your distribution board. 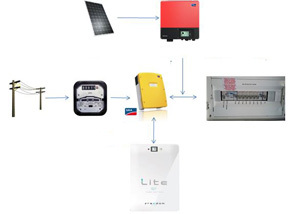 This is basically a combination of the “Backup power systems” and “Grid tied solar power systems” – Get the best of both worlds, Backup power during power failures and reduce your electricity bill with clean renewable solar power.